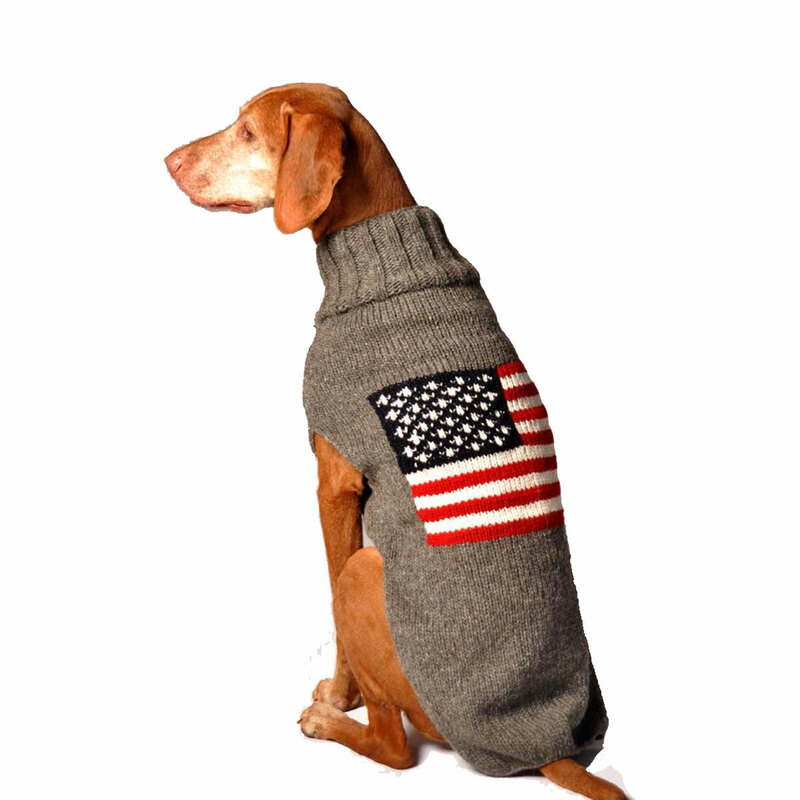 Don’t let your dog be left out in the cold without having on a stylish and patriotic Handmade American Flag Wool Dog Sweater!! 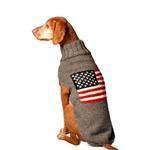 Winters can be tough on our delicate pups, so bundle them up in the Handmade American Flag Wool Dog Sweater! Sweater is a pretty gray with flag on back. Handmade wool dog sweaters from Chilly Dog are made with hand knit organic wool and all natural plant dyes, perfect for the Eco-conscious pet owner. This sweater is also made following the Fair Trade guidelines and is knitted by descendant's of the Inca Indians. Because every sweater is handmade, they may vary slightly in color and style. Handmade American Flag Wool Dog Sweater Customer Photos - Send us your photo! Finn loves America and shows his patriotism while staying warm in this fantastic handsome American Flag sweater. Posted On 01/26/18 by Susan G from West Lawn, PA Yes, Susan G recommends this product! Posted On 11/17/16 by Morgan M from Evansville, IN Yes, Morgan M recommends this product! My mastiff mix has a fairly thin winter coat so we decided to purchase him a dog sweater. He looks absolutely adorably in his american flag wool dog sweater! It fits him well and will keep him nice and cozy during the winter! Would definitely recommend to anyone! Nice & heavy & patriotic ! Posted On 08/06/16 by lynne s from East Moriches, NY Yes, lynne s recommends this product!